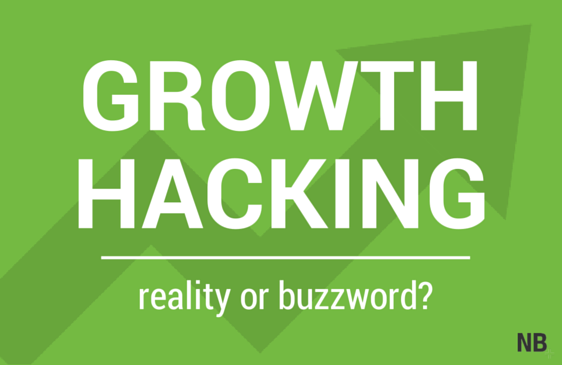 Is Growth Hacking a Reality or a Buzzword? As the popularity of the term “Growth Hacking” has increased, we've started to question if the definition has started to change? Do we still use the term as it was initially intended? Has “Growth Hacking” become just another buzz phrase for something that already existed? We're going to take a deep dive into the mysterious world of growth hacking and uncover if the word is a reality in our industry or just being used as a buzzword. To decide, first let's take a look at the history of the term “growth hacker.” The term was coined by Sean Ellis in a blog post from July 26th, 2010. In this post, Sean stated, “a growth hacker is a person whose true north is growth. Everything they do is scrutinized by its potential impact on scalable growth.” He then continued on to say a growth hacker creatively tries to figure out growth through testing and evolving techniques. Ellis, whose expertise lies in helping startups come to market faster and scale more quickly, is trying to define a position based on short-term growth. This is particularly true in a startup situation where the need for long-term sustainable, planned growth is superseded by a need to grow today in order to stay alive tomorrow. It wasn't until Andrew Chen wrote, “Growth Hacker is the new VP Marketing” that an engineering background or an ability to code became a prerequisite to being a growth hacker. Chen defined a growth hacker as a “hybrid of marketer and coder, one who looks at the traditional question of 'how do I get customers for my product?"' and answers that question with A/B tests, landing pages, viral factor and email deliverability. But is this not what all marketers are trying to do? We all want to find customers for our products and we leverage things like A/B testing and landing pages to hone our strategies and better target our ideal customers. So is coding truly a prerequisite of being a growth hacker? The meaning of the term has been further evolved today focusing less on the type of thinking or way of designing, creating and implementing marketing campaigns, to encompassing the true marketing actions themselves. Articles such as “Top 10 Popular Growth Hacks of All Time” exemplify this type of thinking. We challenge this mindset because aren’t these actions that should be taken regardless of whether they are labeled “growth hacks” or not? So our real question is this: Is the term “Growth Hacker” being used as it was meant to be or have we changed it to mean something different? The term growth hacker was originally created and used to define a person whose single job was growth, instead of other goals such as creating a long-term marketing plan or copywriting. This role was born from the startup culture and created out of necessity as these companies needed to grow (and grow quickly) in order to survive. Today, it seems like growth hacking is being used in relation to any type marketing initiative based around web marketing, social media, or SEO with a slight emphasis on growth. It’s less focused on how these initiatives truly impact the growth of the company, and more on the customer numbers they drive (which indirectly means growth). But again, in this instance, we could challenge that these tactics are really just table stakes when it comes to any online marketing campaign - they're the initiatives you use to generate leads and customers. And that begs an ever bigger question: are the famous “Growth Hacks” really just traditional online marketing? Let’s take a look at three of the most famous growth hacks of all time and determine if the growth came from a new tactic that was created (the newer definition of the term), or from a thought process and view that allow the marketers to see the possibility for growth (the traditional definition of the term). While this feature helped Airbnb see tremendous growth in a very short period of time, it’s really just a cross-posting tactic that has been used throughout online forums and social media for ages. Our vote: smart online marketing, not a growth hack. Again, when Dropbox implemented this program, they saw a large uptick in new users and grew quickly. But in truth, this is an example of a simple referral program, something that cable providers and others have been doing for many years. Our vote: smart online marketing, not a growth hack. This small change helped LinkedIn move from a platform with 2 million users to over 200 million users. How? With a public profile, when you searched for someone’s name, their LinkedIn profile would show up as one of the top search results. And it helped position the platform as a must-have for all business professionals. Our vote: a growth hack; LinkedIn changed their thought process and view of what the platform could be. So is growth hacking just a buzzword or is a true method you can implement into your own strategy? Simply put, yes and no. While the definition of the term is being used differently than it was originally intended - describing actions instead of a way of doing things - the original definition of the term growth hacking is still very viable. To be a true growth hacker, or an organization that uses growth hacking, you must be a person or group focused only on growth and creating growth through information and creative techniques. Essentially, you need to be “hacking” growth by finding backdoor and creative ways to use what is available to you. Be creative. Be imaginative. Be bold. Be different. And don’t be afraid to fail. Jake is a former New Breeder.